FIFI Fixed, Flying Again from EAA - The Experimental Aircraft Association | FIFI, the Commemorative Air Force's (CAF) Boeing B-29 Superfortress, flew for the first time in three months on January 13 following extensive repairs to its No. 2 engine. Timeless Voices - Leland Shanle from eaavideo.org - most recent | Leland Shanle joined the U.S. Navy in 1981 and served as a Naval Aviator from 1984 to 1998. He flew the EA-6B Prowler aboard the USS Midway, USS America and USS Lincoln, including 80 missions over Bosnia, Somalia, and Iraq. here gathered at Dry Tortugas National Park in Fort Jefferson Jan. 15, to participate in a maintenance project for the National Park Service. 2013 B-roll from Disabled American Veterans Airshow Outreach B-25 Flight Team | We are almost ready to announce our 2013 schedule! In the mean time, please take a look at our new 2013 B-roll: Special thanks to Sleeping Dog Productions, Inc. for creating this amazing video for us! Kenyon W. Park - SalemNews.net | A U.S. Air Force veteran, Mr. Park was stationed in Mississippi and Texas Air Bases where he served during World War II as an engineer on a B-29 Bomber and the Korean War as a captain and pilot of B-17 and B-24's and retired from the Air Force Reserve. Is the Mysterious B-25 Still in the Monongahela River? - Patch.com | In the 57 years since a B-25 Mitchell bomber ditched in the Monongahela River near Homestead, its fate has been a tale filled with mystery, suspicion and intrigue. From Pima Air and Space Museum - FB Page, please visit and "like"
The Only Amphibious Gyroplane In The U.S. from Aero-News Network | It Might Look A Bit Odd, But Builder Says It's A Good Flying Machine The gyroplane community here in the United States is mostly familiar with the float flying that Sport Copter depicts in their information video. Few have ever seen a gyroplane on floats in real life. 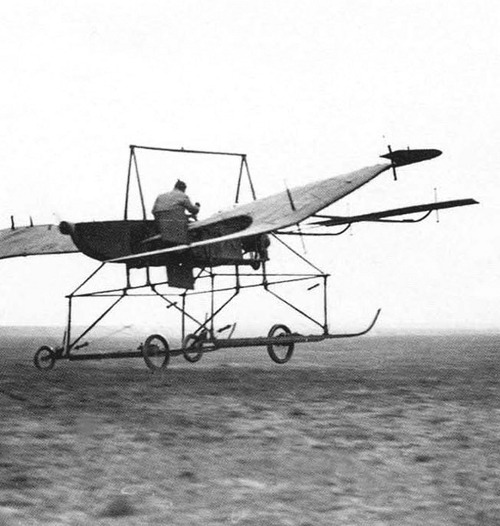 In fact, if you research float flying with gyroplanes, you’ll be advised not to do it due to fears about HTL PPO, yaw-roll coupling, landing flare issues, to name just a few. NASA Long-Duration Antarctic Balloon Breaks Flight-Time Record from Aero-News Network | Longest Flight For A Balloon Its Size Flying high over Antarctica, a NASA long duration balloon has broken the record for longest flight by a balloon of its size. The record-breaking balloon, carrying the Super Trans-Iron Galactic Element Recorder (Super-TIGER) experiment, has been afloat for 46 days and is on its third orbit around the South Pole. [Video] Nellis Air Force Base’s Red Flag: B-1 Lancers’ night departure from David Cenciotti's weblog | Currently deployed at Nellis Air Force Base to take part in Red Flag 13-2 are five B-1B Lancer bombers, belonging to the 28th Bomb Squadron of the 7th Bomb Wing, from Dyess AFB, Texas. Day 53 - January 26, 2012 from TeenFlight! by TeenFlight Crew | After six hours of work on the landing gear service bulletin for the TeenFlight 1 airplane, we got the gear back on and all the bolts torqued down. 10 Billion Miles From Home - Air & Space | More than 35 years into their mission, our farthest-flung spacecraft are not finished yet. 60 Years of EAA: What Lies Ahead? (2013 and Beyond) from EAA - The Experimental Aircraft Association | The creation and growth of EAA is a true success story in many dimensions, from its humble beginnings, to the annual event in Oshkosh that is its crown jewel, to the worldwide influence the association has had in aviation. Aeroflot Ilyushin Il-76 from Flight Image of the Day by Dominic Perry | Another from the fine pages of our AirSpace gallery, this picture of an Aeroflot Ilyushin Il-76 comes from the camera of regular contributor flyvertosset. 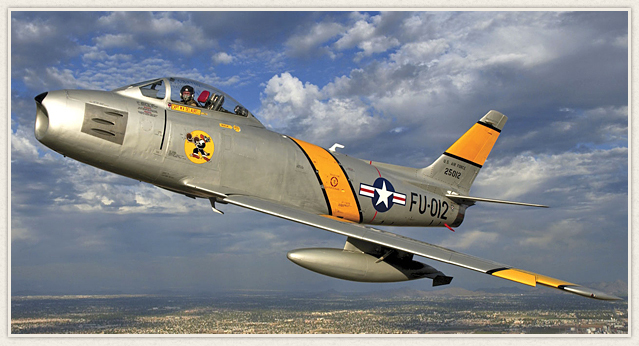 Classic video of Bob Hoover flying the F-86 Sabre from A mile of runway will take you anywhere. by Steve | If you know anything about aviation, you know about Bob Hoover. He's the ultimate aviator, to say the least. You'd be hard-pressed to find a smoother performance in an F-86 than this one from 1961 at Clark Air Force Base in the Philippines. This was posted years ago but I just ran across it today and thought I should share. Air Force Week in Photos from Air Force Link Top Stories | This week's photos feature Airmen around the globe involved in activities supporting expeditionary operations and defending America. This weekly feature showcases the men and women of the Air Force. View the slideshow. Matt is sponsored by Embry-Riddle Aeronautical University which is proudly displayed on the side of his airplane. 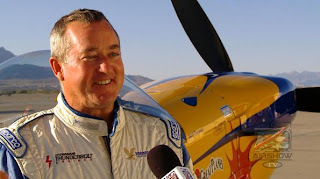 He was a member of the U.S. Aerobatic Team and has placed as high as 3rd at the World Aerobatic Championships. 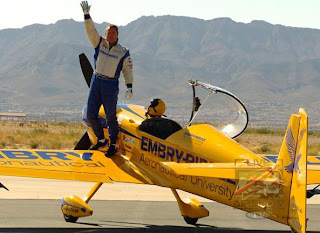 He left the competition world behind and has focused on entertaining crowds with his aerobatic routines. Matt is also part of a new formation team called “The 4ce” along with Bill Stein, Rob Holland and Jack Knutson. Watch for them during the 2013 season. Watch the Matt Chapman video HERE. 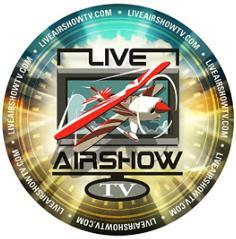 LiveAirShowTV continues to bring more stories and air show performances to the fans during the air show off-season in North America. In production now are stories on U.S. Aerobatic Champion Rob Holland, the U.S. Coast Guard’s MH-65 Dolphin helicopter from last year’s Baltimore 1812 event, the National Aviation Heritage Invitational winner Duncan Cameron’s OY-1, and much more. Like us on our Facebook page, and follow us on Twitter. 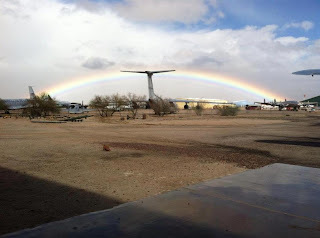 We have postings there daily as we continue to bring you the Inside Story on air shows and aviation! It's all go for airshow - Auckland stuff.co.nz | RACE ON: New Zealand aerobatic pilots Wayne Ormrod, left, and Grant Benns will take on Australians and an American in a head to head aerobatic race at the New Zealand International Air Show this weekend. 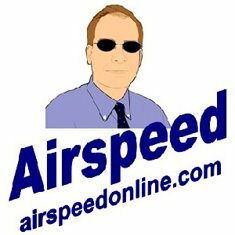 What's New at Sebring 2013 from EAA - The Experimental Aircraft Association | The ninth annual Sport Aviation Expo in Sebring, Florida, that ended January 20 was a bit like paradise to northern aviators escaping zero and sub-zero temperatures back home. Hangar 3, Fleming Field from CAF Red Tail Squadron's Blog | On a recent frigid Wednesday afternoon (well, OK - two days ago...), Mike and I dropped in at the CAF Minnesota Wing's wonderful 1940's era Quonset-style hangar at Fleming Field in South St. Paul, Minnesota. I had a wonderful time taking pictures of the work going on and Mike enjoyed getting acquainted with the airplanes and meeting some of the people who give their time to keeping the Wing's wonderful group of vintage airplanes flying. Mr. Arango’s Aeroplanes - Air & Space | A World War I aircraft enthusiast’s collection tracks the evolution of the species. Podcast: A Confederate Helicopter from AVWeb Podcast - Podcast | As part of its commemoration of the 150th anniversary of the American Civil War, the National Air and Space Museum has posted drawings from its collection of a Civil War-era helicopter design. AVweb's Mary Grady talks with museum technician Tom Paone for more about the story. Video: Pardo's Push - McDonnell F4 Phantom from AVwebFlash Current Issue | "Pardo's push" of March 10, 1967 was preceded by a similar event. 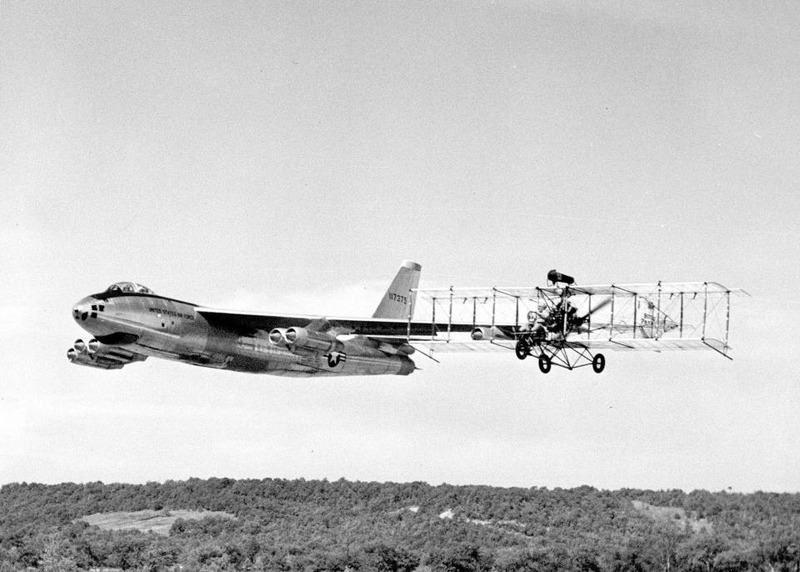 In 1952, fighter ace Robbie Risner pushed fellow flyer Joe Logan 60 miles. The two men were flying F-86 Sabre jets and successfully cleared hostile territory, but Logan bailed out over water, was tangled in his canopy lines, and drowned. Risner was deemed a hero, but by Pardo's account, pilots were not encouraged to partake in similar activities. Fleming’s model Hustler from Travel for Aircraft by joseph_may | Fleming’s model Hustler Ft. Worth Meacham International Airport has two cases on display of aircraft models made by master Charles Fleming — and presented in this post are images of his Convair B-58 Hustler. 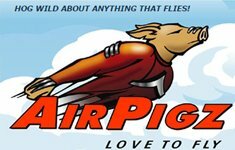 WAI Atlantic Aviators Chapter Closing in on its Goal from WAI Connect Blog by Amy Laboda | The nonprofit Atlantic Aviators — the Southeastern Massachusetts Chapter of Women in Aviation, International — is determined to make an aviation-themed playground at the New Bedford Regional Airport a reality. Nick Spark / Jessica Cox RIGHTFOOTED Documentary Important Update! On February 11th, we'll be launching a new fundraising campaign on the website Indiegogo. Indiegogo is a partner of the IDA. We'll be sending a reminder on February 11th about the new campaign, and hope that you'll share it and our exciting new video trailer with your family and friends. Greetings from Nick Spark, director and producer of "Rightfooted". For those of you who don't know about my new project, it's a documentary about a truly amazing and inspirational woman named Jessica Cox who, although born without arms, earned her pilot's license. She now works around the world to educate, motivate, and change things for the alternately-abled. Thanks to all of those who helped us in 2012 -- without your support this film simply would not be possible that's for sure. Please make a note of it on your calendars and share with friends when it goes live. Part of the campaign includes a wonderful new video about Jessica that we know you'll want to share with friends. Now, 2012 was a busy and rewarding time for our filmmaking team, and a wonderful year for Jessica. Not only did she tie the knot with fiancé Patrick in May, but in November she received a Susan G. Komen Inspiration Award. Wow! Keeping up with Jessica Cox isn’t easy! Not only did she tie the knot with fiancé Patrick in May, but in November she received a Susan G. Komen Inspiration Award (see photo above). Detailing these events I'll leave for the film. What I do want to share with you, as an example of what we documented this year, is a trip we took to America's heartland. It was in fact a trip to Iowa. In a small rural town, we filmed Jessica’s visit with a family whose 4-year-old daughter Grace was born (like Jessica) without arms. For Grace, who had been watching videos of Jessica on Youtube since she was two, Jessica’s appearance in her house was nothing short of a miracle. The two bonded quickly as you can imagine, and Gracie proudly showed off her new friend to her assembled brothers, sisters and cousin. But while Jessica’s visit was clearly important to Grace, it was her quiet, confident counseling of parents Greg and Patricia that really made the trip worthwhile. “What I am seeing is that Gracie is fine,” Jessica told us. “But her parents needed to see and hear directly from me that despite having no arms, she can do anything she wants and she really doesn’t have many limits compared to any other four-year-old. She has a bright future and I think they just need to be reassured about that.” As part of the visit Jessica visited Grace's school, where she gave a presentation to the entire student body. It was obvious from the reception -- the students gave Jessica their undivided attention which for elementary students is a real achievement -- that she made an impression. I imagine the visit will pay dividends in their future lives, and certainly affect their treatment of fellow student Gracie. Photos: Jessica first meets Gracie (l), and spends some personal time with her (r). We coordinated our visit to Iowa with a special event in nearby Kansas City called “Challenge Air”. Founded by former fighter pilot Rick Amber, who lost the use of his legs in an aviation accident on the USS Hancock, Challenge Air’s mission is to allow children with physical and other challenges and to see the world from a different perspective – from above. Jessica joined a fantastic group of volunteer pilots who took dozens of children flying. 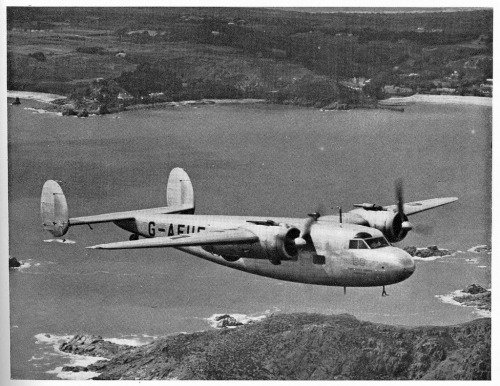 One of them was Grace, who had the distinction of going up in a twin-engine airplane piloted by Austen Plain with Jessica in the co-pilot’s seat. We had no idea how Grace would react to going up in an airplane for the first time. Would all the noise and the sight of the ground dropping away frighten her, or heaven forbid would she panic or get airsick? As it turned out, none of the above: Grace seemed to love her time in the air, and once back down on terra firma headed off to the computer flight simulator table. Following Jessica’s lead, she took the stick in her feet and started flying. This is just a short preview of one part of our film, but I think it gives insight into the project’s purpose and course. Jessica is making a difference all the time, sometimes with just one individual, sometimes with groups of people, and we’re grateful to be there documenting her efforts. In the coming weeks we’re going to make an important announcement about a major opportunity both for Jessica and the film, and I hope you’ll be able to help spread the word and make it possible for us to continue what so far, has been a wonderful journey. 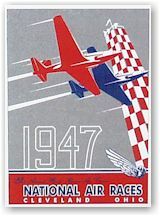 10th Anniversary of "The Restorers"
Sport Air Racing League Crowns Champs! 10 Anniversary of "The Restorers"